How do you notify Twitter of your new blog posts? Do you add the post manually, use Twitterfeed, use Twitter Tools, or do you use something else? Personally, I use Twitter Tools for WordPress. Not only can you set it to send your new posts to Twitter, but it also contains a number of other useful features. 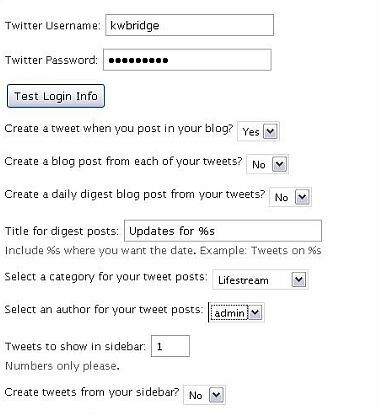 Twitter Tools is a WordPress plugin created by Alex King that assists me in using my Twitter account from within WordPress. Below is a screenshot of the settings. The settings are accessed in WordPress via Settings > Twitter Tools. 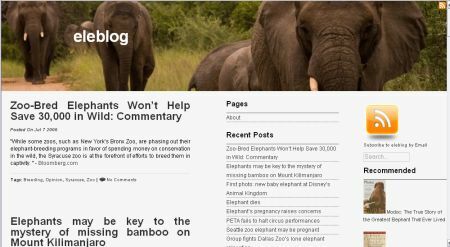 I have another website, eleblog, which is a site for elephant news and information. I have been running it for almost 6 years and as of today it contains 3,895 posts. Each post is simply a link to an elephant related news topic, such as poaching, culling in South Africa or breeding in zoos. I do not write articles or offer opinions, although obviously I love elephants and am upset and angered by many of the articles that I read. I am simply going through all of the elephant news and posting the best articles. Since I am linking to news, many of the articles are temporary and I quickly have dead links on my site. When the site was smaller, I would go through links for the month once a month and delete all posts with broken links. For example, in April of this year I went through all of the posts for April of every year; April 2007, April 2006, April 2005, etc. As the site grew larger, this started taking more and more time and I could not keep up. It is also a boring task so it was hard to motivate myself to work on it. In the back of my mind I kept thinking that there must be a wordpress plugin or an external program that could check the links for me and provide me with a list of all broken links so I could delete the posts. Does anyone have any recommendations of other plugins that I should install? I have finally finished the redesign and am ready to start posting again. I have a few tweaks to do and pages to add but overall I am done.